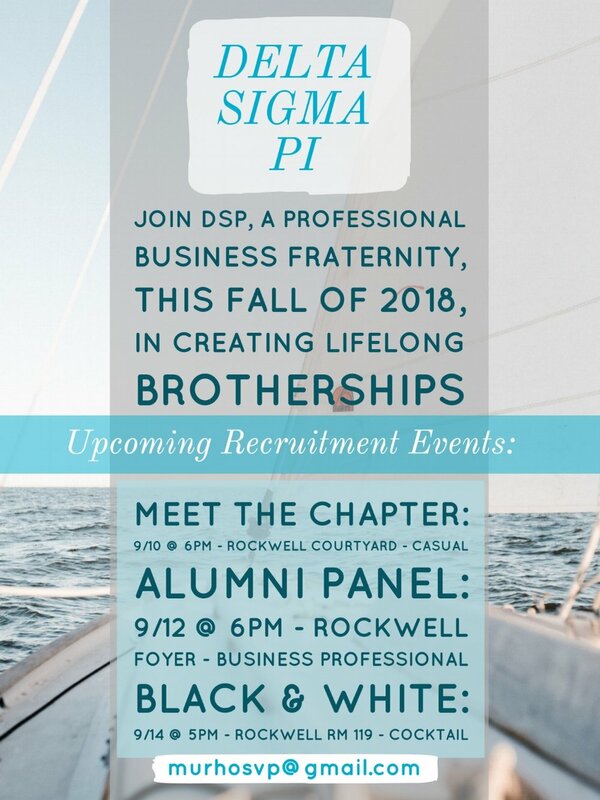 Are YOU ready for Delta Sigma Pi’s Recruitment Week? Resume? Check. Business Professional Apparel? Check. Ready to make some memories? Check. This week we have been working hard preparing for an awesome week of Recruitment and no doubt, our prospects are doing the same. As the clock ticks closer to our first event, Meet the Chapter, we wanted to give our potential brothers some tips and tricks to make the best possible first impression! Put a face to a name on a page! Share something about yourself that is memorable and allows you to stand out from the crowd. Being knowledgeable about our pillars shows that you really care about what we stand for. Being well dressed can help you feel more confident. We are here to answer them! This is your chance to get a glimpse of what it means to be a brother of Deltasig. We are so excited to meet all of you and remember above all else, just be yourself!